People are realizing the potential benefits blockchain can provide to individuals and communities in need. The term blockchain for good (B4G) has been coined and is gaining traction around the world. Supporting social impact organizations is a core feature of the NOIZ project, and GoImpact, a consulting firm dedicated to impact investing, is helping NOIZ to effectively support such organizations. How is NOIZ making a difference? Consumers in the NOIZ ecosystem redeem their NOIZ tokens for special offers on products and services, like flight miles for a trip to Paris or reward points at a local grocery store. Each token redeemed is then added to one of 17 ‘buckets’ representing the 17 SDGs. A limit on the number of NOIZ tokens will be set for each bucket, and once this limit is reached, the tokens will be distributed to social impact organizations that correspond to the category of the bucket. After which time, the bucket can begin accumulating tokens again. Here’s an example to help clarify: The limit of 10,000 NOIZ tokens is reached on SDG bucket #4: Quality Education. As a result, all 10,000 tokens will be donated to social impact organizations devoted to improving education. Once the tokens are donated and the bucket is emptied, NOIZ tokens can again begin to pile in. It is up to the brands providing the special offers and the consumers to determine in which buckets the redeemed tokens are placed. With many social impact organizations existing across the globe, it can be difficult to determine which organizations would be best to receive the NOIZ token donations. GoImpact is here to remedy this difficulty. 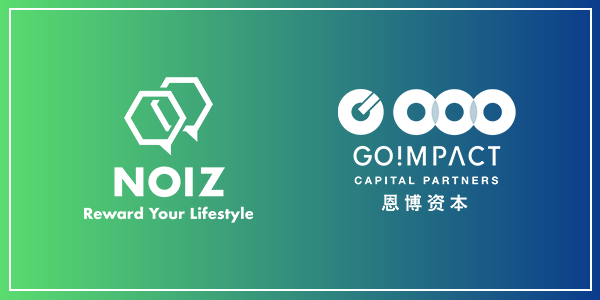 Being experts in Social Responsibility Investing (SRI), Environmental, Social and Governance (ESG) investing and Principles for Responsible Investment (PRI), the GoImpact team knows best how to allocate NOIZ tokens to the right organizations to make the greatest impact. GoImpact works around the idea of bringing purpose to profit, meaning they want to help investors earn a profit from investing in socially responsible projects. Although NOIZ is not aiming to make a profit from the donation of its tokens, it is possible for social impact organizations to turn NOIZ tokens into greater funds, and GoImpact will be helping these organizations to do so. Growing this beautiful idea beyond paper is the next step, and the NOIZ partnership with GoImpact is a leap in the right direction. Learn more about the NOIZ project by clicking here and stay up to date on all things NOIZ by joining the NOIZ telegram channel. NOIZ is an AI+blockchain ad network providing transparent data to all parties, ensuring optimized user experience & empowering social impact campaigns.